This class 3 patient came to us in the summer of 07’. 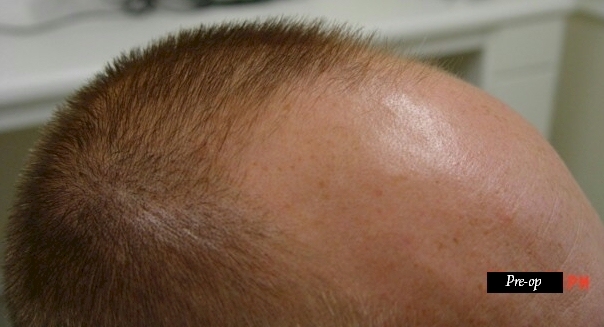 The patient’s goal in hair restoration was to add density to the frontal scalp via CIT. 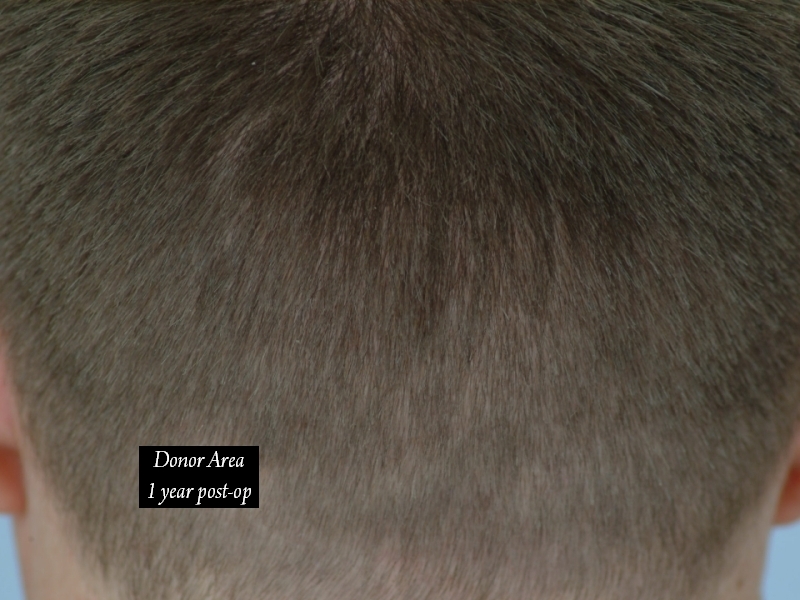 The patient has light brown hair with slightly above average donor density of 198 hairs per square centimeter. 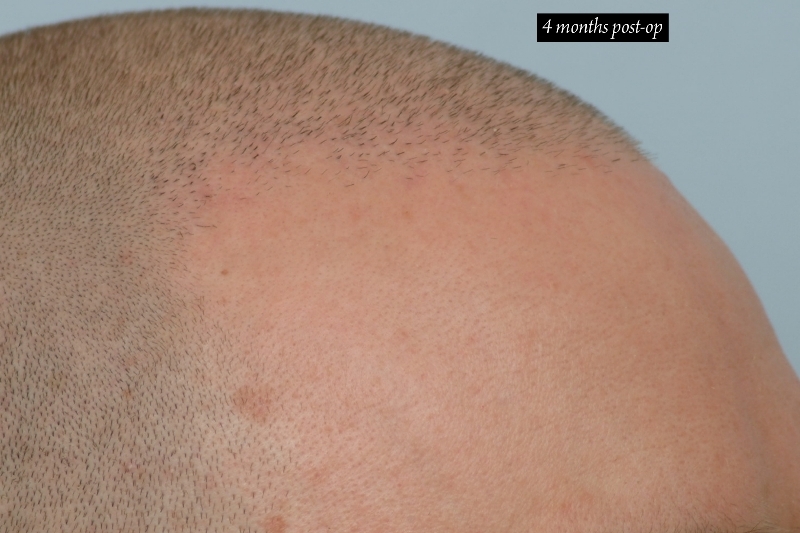 Dr. Cole’s treatment plan for this patient was to transfer 2040 grafts over two passes and administration of finasteride to be taken orally, with or without food, usually once a day, or as directed. Below are photos that depict the 4th and 12th month post-op results in the recipient area. There are many patients who desire a much thicker look and are taking the risks associated with transplanting at higher densities. We make our patients aware of the fact that future hair loss may occur at any time in the future. It is imperative to remember that more that one session may be required to achieve an individual’s goals. Lookin good:) I see the difference in quality of the new hair. » may be required to achieve an individual’s goals. You are absolutely right. 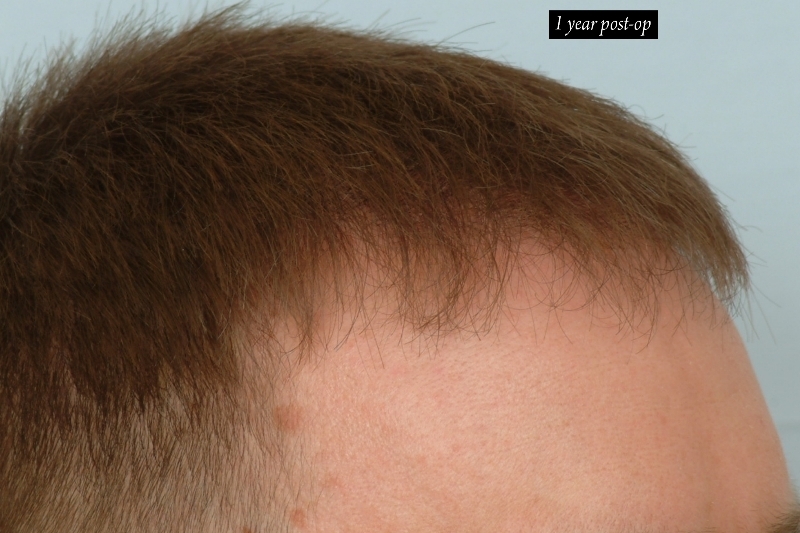 You can see the earlier growth at 4 months post-op because it looks healthier that the pre-existing hair on the frontal hair line. These hairs are also revealing a slightly better distinction in caliber of hair. This patient is very happy to be able to wear his hair short or long. It would be nice, for comparison, to see the hair both long, as well as short, pre-op. I also wanted the hair shorter in the follow-up photo. Until recently, we had more patients who let us cut their hair, but our C2G is quite popular these days. Patients with long hair (2"+) really benefit from this particular preparation method because you can basically walk out of our clinic and into a public establishment with no problems. Usually patients tend to style their hair differently when their results mature to the point were they become comfortable with their new appearance. That is amazing coverage for a mere 2000 grafts. Are you sure that number is correct? 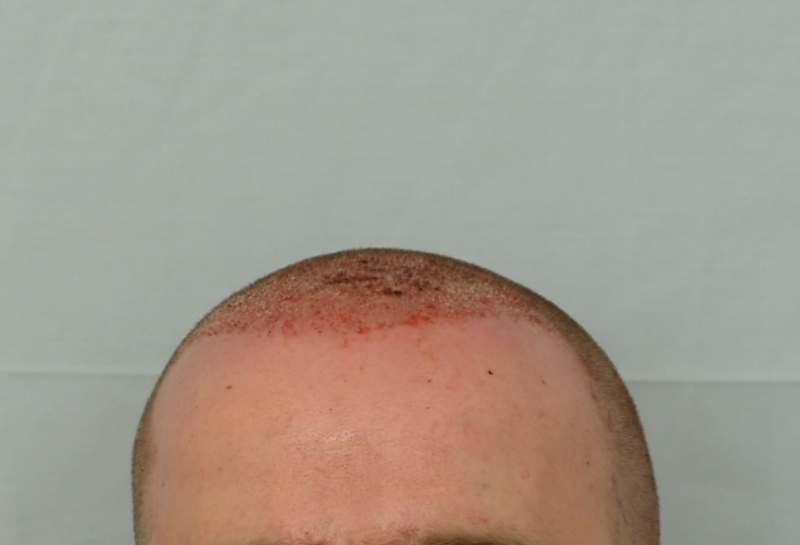 This patient actually did recieved just 2040 grafts and the coverage is outstanding. It’s even more interesting that the patient began to see new growth at just 4 months post-op. I have attached a post-op photo for reference. “Touché”, the patient’s procedure was very successful. I’m looking forward to the next update on the case. Stay tuned to www.forhair.com! » forward to the next update on the case. Stay tuned to www.forhair.com! Very good result. I’m jealous!